Good evening to all! I hope everyone is enjoying a nice week and looking forward to the Mother’s Day weekend. Let’s get started with my latest Thursday Rundown. Big Shoutout to My Wife – Perhaps they should designate this week as Sidney Reser Week (even though I believe she deserves an entire month) as both Teacher’s Appreciation Day and Mother’s Day fall during it. Simply put, Sidney excels at both roles the two days celebrate. 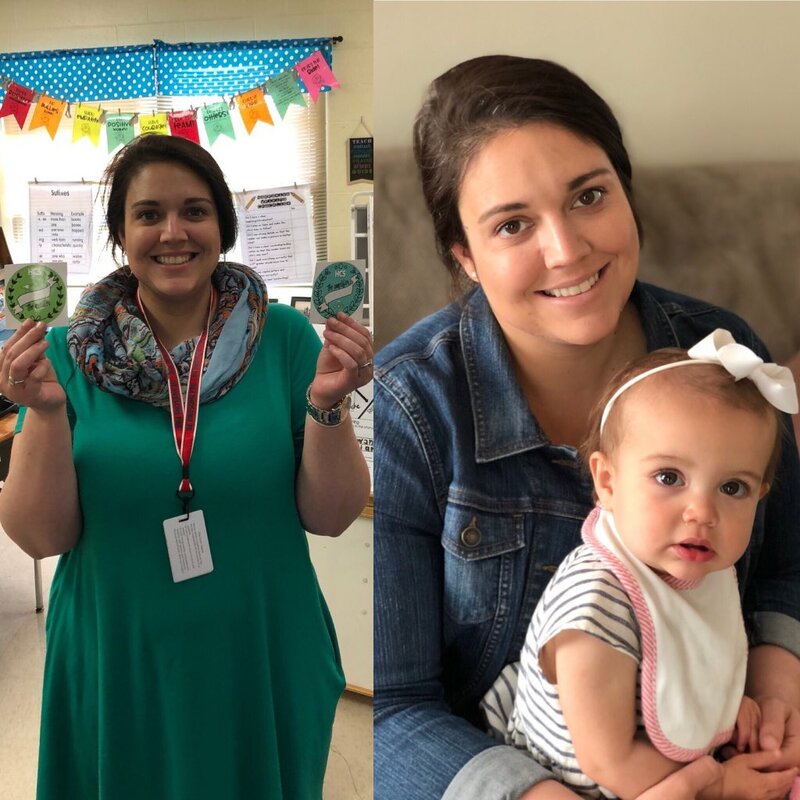 When it comes to being a teacher, she goes to the classroom each day with the goal to help her students – whether it be with academics or life in general. She is the type of teacher I would have loved to have when I was in 2nd grade and the one that parents want for their kids now. Sid is in the teaching profession for all the right reasons and is an inspiration to her students. The same energy and passion she puts toward being a teacher is also what she uses to be an amazing mom. Selfless and nurturing, Sloan hit the jackpot when God assigned her a mother. I observe in awe as Sid does everything she possibly can to help Sloan grow, thrive, and be happy. She motivates me to be a better dad and I am so thankful I get to be her parenting teammate. Sid is being celebrated as a teacher and mother this week. She is great at being both. 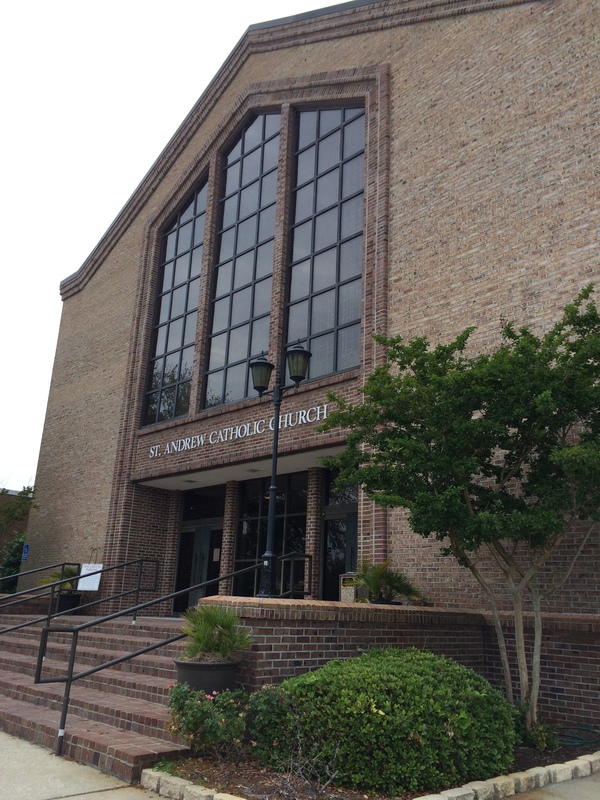 Attending Mass With a Child – Last night, Sidney and I went to St. Andrew to attend a seminar for tips on how to help your child (and yourself) get the most out of mass. Excuse the lame joke, but it was a godsend. Although we found out that we are already doing some good things when we take Sloan to church each weekend, we also learned some awesome new strategies. Preparing a mass bag, offering non-food incentives for good behavior, and methods for engaging your child with what is going on during the service were just a few of the tips we learned. Jennifer Diaz, the parishioner and parish staff member who ran the evening, also suggested that we take Sloan to church on a weekday when a service is not going on. While there, she said, allow her to freely explore the worship space. While she is looking around, explain how the different elements she comes across play a role during mass. It was a very informative evening and reinforced the point that during church there is no better place for Sloan to be than right there with us in the presence of the Eucharist. We sure enjoyed the seminar that St. Andrew put on regarding children at mass. The Week Of – Almost exactly a year ago, I wrote about a Netflix-exclusive Adam Sandler movie called “Sandy Wexler.” Tonight, I must write about Sandler’s latest Netflix film, “The Week Of.” The movie tells the story of a lower-class guy (Sandler) who is doing the best he can with limited resources to plan and execute the wedding and reception of his daughter. He must contend with the groom’s wealthy family and his own family to pull it off. Let me say this…the movie is hard to watch. By “hard to watch” I mean it is so full of awkward and fist palm moments that you have to look away from the screen every now and then. With that said, Sidney and I laughed the whole way through. I would actually recommend the movie but this film critic wouldn’t (the most scathing review I have ever read in my life). I personally thought “The Week Of” was pretty funny. Graduation Cap Gold – Although most higher education social media professionals would admit that it is cliché to focus on graduation cap designs at commencement ceremonies, you really can’t escape it. However, overdone or not, I saw a cap this past weekend that truly stood out and deserved Instagram attention. 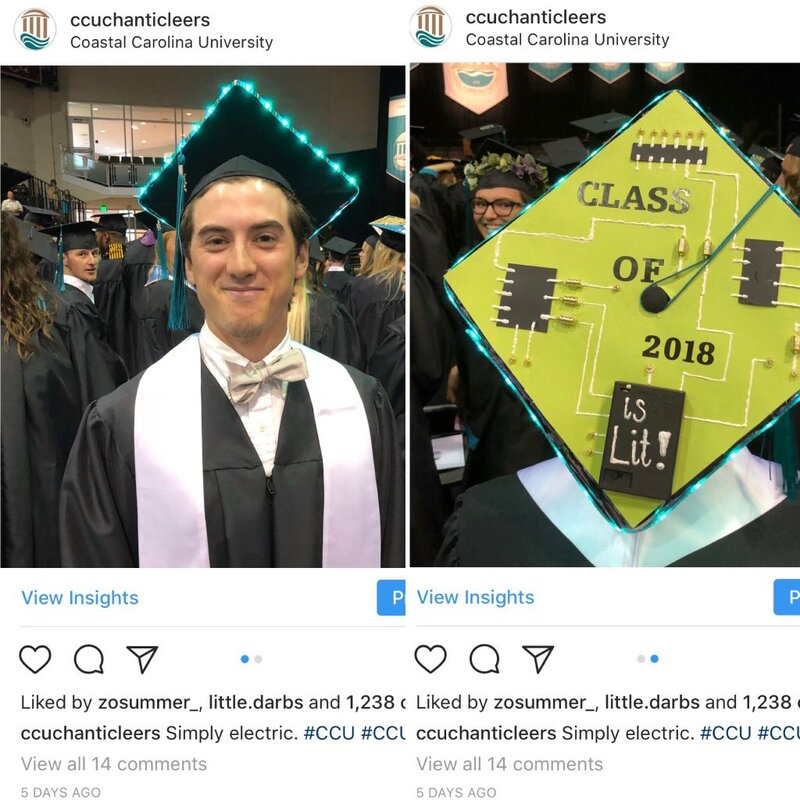 This applied physics student put his skills to work to make a “lit” mortarboard. Kudos to this student for coming up with a pretty clever idea. Childhood Pizza Parlor Demolished – A pizza place in Spokane that I grew up going to was recently demolished so a Taco Bell could be built in its place. 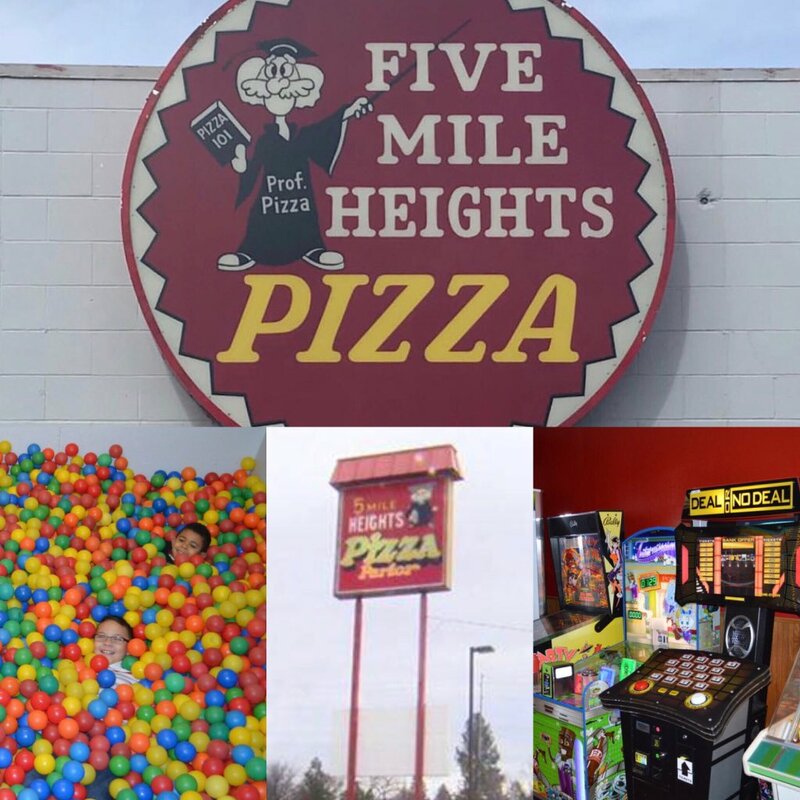 Five Mile Heights Pizza Parlor was a north Spokane icon. I spent many birthday parties, end of season sports gatherings, and general celebrations there. It had a huge arcade, a castle that you could go inside, and pretty decent food. Best of all, it had a ball pit! These days, ball pits are pretty much a thing of the past so for that reason it was tough for me to see this 30-year-old business close its doors (and then get bulldozed). Bye bye Five Mile Heights Pizza. Thank you for giving me the time of day! Enjoy the rest of your evening and make sure to wish a “Happy Mother’s Day” to as many moms as possible. Don’t Blink.